Whim Biscuit: Nutritious delights with the Nutribullet. Nutritious delights with the Nutribullet. Let me just say, if you think this is just another blender, you are wrong. Whilst you might think this another super-healthy-juice-crazy promotion, we can honestly say, that this is the single most useful gadget we have in our kitchen. Its uses far exceed the simple smoothie or green mush, because its primary high power extractor-blade is very strong, and makes no complaint with ice or the firmest of veg. We reviewed the 12 piece original NutriBullet set, which also comes with a useful milling-blade, helping you pulse up nuts and seeds into a fine flour you can include in lots of recipes. The benefit of getting a kit with accessories, also means that the whole family can use it at once, if say your husband fancies a smoothie, and you're prepping a sauce for dinner, you've got enough handy cups and mugs to go around. It is not the quietest of gadgets, but it certainly is easy to use. It's a simple as putting a lid on a cup and pushing it down onto the mechanism. Most items are reduced to a smooth puree in under 20secs, which indeed is even healthier that juicing, as it includes all that lovely fibre. 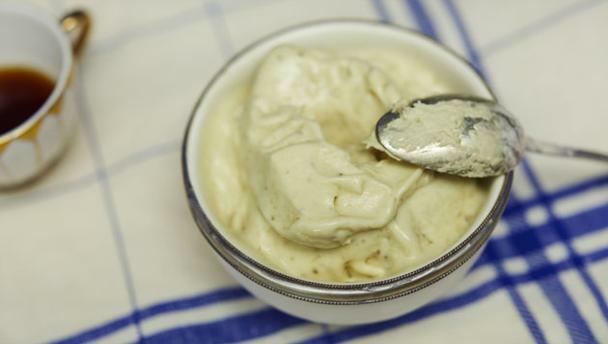 Simply chop up x2 ripe bananas, and freeze. Pop them in your nutribullet or food processor. Add 2tsp of almond milk. Also include optional 2tsp of maple syrup and/or a dash of vanilla essence. Blend away until it creates a creamy think consistency, add more milk if necessary. More recipe options and pic courtesy of BBC Food. 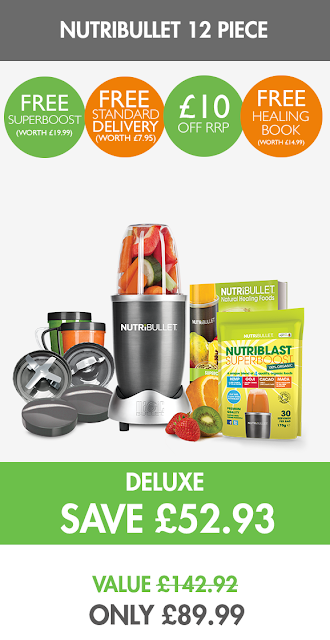 The NutriBullet is compact, strong, versatile, and available in great deals on HighStreetTV.com. *Press sample provided, however review entirely our own opinion.